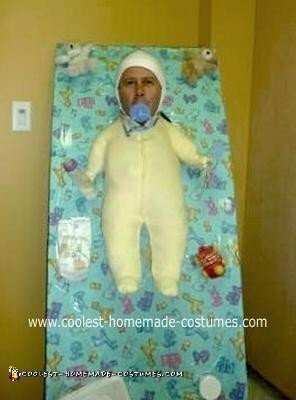 The Homemade Baby Costume started out as a big box for you. I cut it for my head. We put on the box, nice color, toys for the baby (bears). We also took a pyjama and I cut a place for my head which I shaved very well and put something on my head. This costume got a lot of attention. People smiled for baby, and I had a lot if fun. Enjoy and have some fun!